This is one of the longest episodes I’ve recorded yet in Turning Lemons Into Lemonade. I had never met Nancy prior to our recording today, but this conversation was SOOOOOO full of amazing business nuggets. Nancy’s Lemons story was based on her content creation strategy. She batch creates content, and unfortunately had a piece of content go out at a time that her clients and prospects found offensive. She told the story of waking up to angry client emails and unsubscribes. She talked about how she tried to reach out and smooth over the miscommunication – but that she eventually realized that there was only so much she could do. Nancy delivered one of the BEST pieces of advice I think a new business owner can get. All to often, as coaches, we see new coaches and advisors try to launch online programs when they are first starting their business – before ever really knowing exactly who they serve, what their clients need, and what they’ll pay for it! She suggested that every coach start with one on one clients before creating and launching programs for people they have never served. I also shared a bit about some of the methodologies I’ve learned from Ryan Levesque and his ASK Method – where you survey your clients and prospects so you build a better product or service based on their needs and desires! Nancy talked about some of the biggest levers in growing her business. She said that her biggest growth lever was hiring her virtual assistant and them working together to build strategies to continue serving past clients, increasing the lifetime value of a client, and keeping them from aging out of her programs! Nancy also shared a strategy that many will struggle with. She eliminated her free consultations, and instead now offers a low cost new client strategy session. 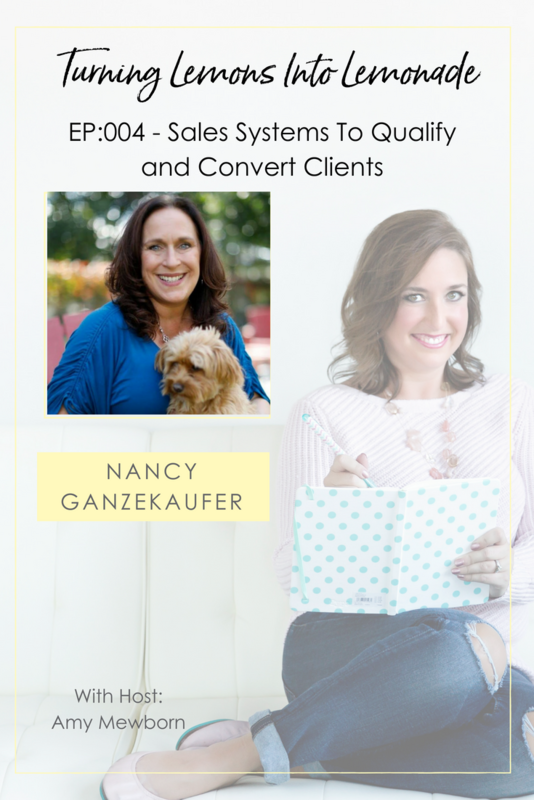 Instead of doing free consults that are really sales calls, she is paid $97 to deliver real advice and value – leading to a much higher conversion rate, and clients prequalifying themselves prior to their calls! This was truly one of my favorite interviews. Nancy pulled back the curtain on almost all aspects of her business – giving REAL value! You are going to love this interview!